I cautiously guard my favorite gold plated fountain pen that I keep in my breast pocket. I consider it less of a luxury item than a necessity, because when I use it to sign my name on the dotted line it makes an impressive statement. I could use any pen to do that, so why does it need to be prestigious? I feel good when I use it, that’s why. 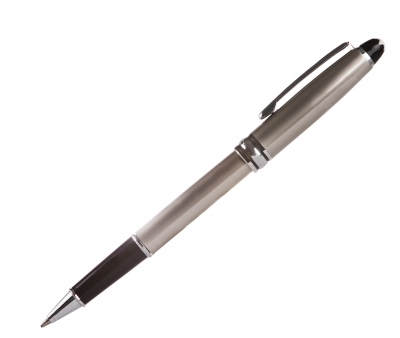 The feel of a quality writing instrument exudes confidence. It not only looks good, but it makes me look good. Whipping out my impressive high dollar fountain pen in front of business associates or clients sends an upscale message rather than a dime-store ball point. It makes a statement reaffirming my lust for excellence. I recently read a Business Wire press release reporting that as market analysts expect the world wide office stationery and supplies market to increase in the coming years, one of the sectors showing a surprising growth is luxury stationery. Personally, I have always enjoyed browsing stationery shops. Whether I’m traveling in England, Italy, France or Japan, I make a point to take some time to browse through the best stores selling fountain pens, high grade paper and leather-bound notebooks. I like the smell of a well stocked stationery store and the feel when I touch a sheet of the most expensive paper. But until I read the press release, I didn’t realise luxury stationery products were such a trend. Besides pens, the appeal of luxurious stationery products is captivating. Anyone can write on a piece of paper, but the luxury of writing on paper with 25% cotton content on a laid finish takes writing to another level. Choosing the best quality paper when printing your letterhead or calling cards does not go unnoticed. Yes, it is extravagant, but some things in life are just worth the extra cost.